0 Comments Published by KL Ocs Kid on Monday, August 20, 2007 at 10:27 AM. 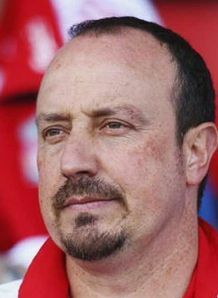 Rafa Benitez was left fuming by referee Rob Styles following Liverpool's 1-1 draw with Chelsea. The Reds were denied a priceless victory after Styles awarded a controversial second half penalty for Chelsea. Styles harshly adjudged Steve Finnan to have fouled Florent Malouda inside the box even thought it appeared that the Chelsea winger jumped into the Liverpool defender. Benitez described Styles' decision as "unbelievable" as Liverpool were forced to settle for a point. "I think it was a mistake," fumed Benitez. Benitez took positives from his side's performance as Liverpool dominated for the majority of the proceedings. Benitez singled out Fernando Torres for special praise after he scored his first goal for Liverpool to fire them in front in the first half.